15 Jan 2019 --- 2018 saw the introduction and expansion of regulatory pressures in the form of a sugar tax in the UK as the global obesity crisis worsens. In 2019, manufacturers and suppliers are expected to respond to these themes and seek to reduce overall levels of fat, sugar, salt and total calories in a clean and transparent way. The market has become so competitive that manufacturers need to keep their fingers on the consumer pulse. As a result, the notion of “lighter reformulation” has evolved alongside a renewed interest in fiber. The renewed interest in fiber is proliferating. Consumers are still mainly consuming fiber for digestive health, but newly discovered health benefits are driving applications too. The health of your gut is no longer a taboo topic and numerous innovators are thriving on gut feeling amid this market dynamic. Innova Market Insights has tipped “A Fresh Look at Fiber” at its #7 trend for 2019. According to a consumer survey (2018) conducted by Innova Market Insights, 44 percent of US consumers are increasing their consumption of fiber, with 33 percent of UK consumers doing so. At the same time, 21 percent average annual growth has been reported in new product launches carrying a fiber claim. For Rudy Wouters, Vice President of the Beneo-Technology Center, at Beneo, the continued focus on all things indulgent, healthy, sustainable and natural, means that lighter formulation will continue to drive recipe reformulation in areas such as sugar reduction and fiber enrichment. It is also about meeting the consumer’s mouthfeel and nutritional expectations. “An area that still presents a wide area of opportunity for lighter formulation is in the bakery and convenient sauces sectors. According to Beneo research, almost two thirds (60 percent) of consumers surveyed tried to limit or avoid sugar,”explains Wouters. 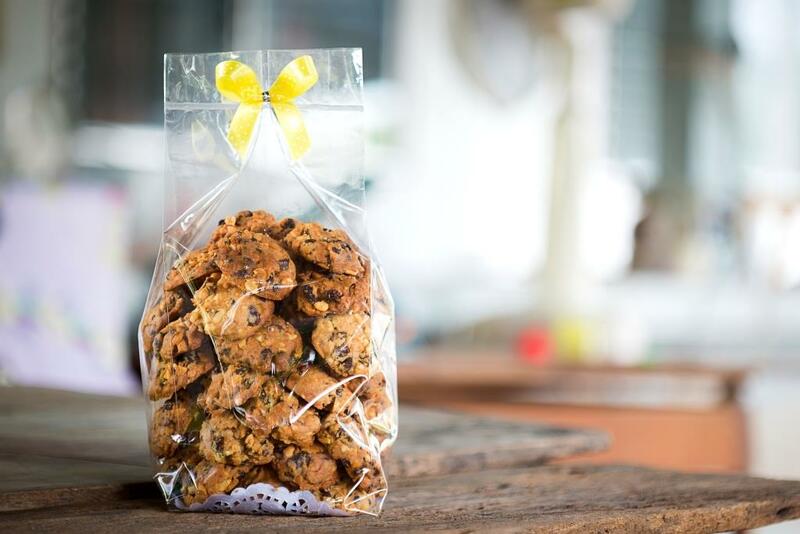 “With growing demand by consumers for healthy, yet indulgent baked treats, the potential market for lighter formulation alternatives is a significant one. Additionally, soups and sauces are areas of growing consumer focus concerning cleaner labels, with research showing that two out of three UK consumers think it’s important for tomato sauces or prepared sauces to be made with natural ingredients,” he adds. Manufacturers are responding to consumer trends through product and process innovation. The are replacement of sugar in recipes, while also fulfilling taste and texture expectations can be challenging, however. “Sugar reduction in indulgent bakery applications, for example, is linked to many technical challenges, including maintaining sweetness, appearance, texture, crunch, color and dough handling properties,” Wouters notes. Beneo scientists have developed a 30 percent sugar reduced cookie recipe that – following consumer sensorial evaluation – showed that taste and crunchiness were the same as the full sugar variant, even though the cookies were higher in fiber. 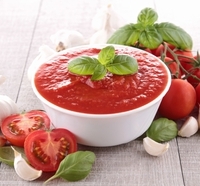 The technical challenges of creating a clean label retorted tomato sauce, for example, are significant, due to the sauce’s low pH and severe temperature processing conditions. Beneo recently launched a clean label rice starch, Remypure S52. The new rice starch can be used in foods such as soups, sauces and ready-to-eat meals to create unique textures and excellent product stability, under extremely harsh processing conditions. When using this new functional native rice starch in a retorted tomato sauce, the viscosity of the sauce remains high and stable over time, while viscosity values are much lower when adding a similar dosage of a native rice starch. According to Beneo, consumer research revealed that more than half of European consumers often, or almost always, consider the ingredient list, nutritional information and claims on pack, while half look for food with no artificial additives. Further demonstrating the power of clean label, out of five label options, a “no preservatives and made with natural ingredients” label was by far the most preferred by 49 percent of all consumers surveyed. Click to Enlarge“The Beneo clean label research reinforces the fact that consumer demand for ‘everything from nature’ continues to grow and to help create a window of opportunity for manufacturers wanting to create cleaner label products,” notes Wouters. “Meeting consumers’ requirements regarding sugar reduction or cleaner labels poses some challenges. This is why manufacturers have to work closely with functional ingredients experts, to create recipe formulations that overcome these challenges and deliver in terms of taste and texture,” he explains. According to Robert Lambert, Marketing & Communications at Ulrick & Short, lighter formulation is part of a broader consumer shift to actively seeking healthier foods. “This is most obvious in the form of sugar and fat reduction, but also about what functional ingredients can add to a product – for instance, 2019 will see the growth of products that are protein and fiber fortified,” he explains. “In 2019, we will continue to develop our clean ingredients to help manufacturers make the UK and Europe’s food healthier to satisfy both government regulation and consumers alike. For many years we have helped manufacturers reformulate and develop healthier foods with enhanced nutritional profiles. Now this is as pertinent as ever,” he notes. The major growth areas for lighter reformulation will likely focus on the traditionally high sugar and fat sectors. This includes the bakery and desserts sectors, but also incorporates the ready meal, soups and sauces sectors. Due to shifting consumer attitudes, there is also an increased opportunity for the emerging markets such as performance foods, sports nutrition, free from foods sector and the ever-growing vegan & vegetarian space. “The lighter formulation market has experienced unprecedented growth,” continues Lambert. “A mixture of governmental regulation, greater consumer knowledge and ever-increasing consumer expectation for healthier foods, has meant that manufacturers and ingredient suppliers are constantly developing new formulations, ingredients and technologies to produce the best possible product,” he adds. The major technical challenges lie in replacing the functional properties of two ingredients that perform crucial roles in a food matrix. “Fat and sugar are crucial in providing volume, body, indulgence and mouthfeel to a product. Our development has been focused on doing that in a clean and transparent way,” Lambert concludes. For 2019, we can expect consumers to place greater importance on healthier choices when considering food purchases. Regulatory and governmental pressure has sparked awareness of the consumption of foods high in fat, sugar and salt. Higher intake levels of dietary fiber and whole grains are set for success in 2019 with consumers’ knowledge around its benefits increasing and manufacturers engaging in NPD. In the war against salt, sugar and fat we can expect to see significant innovation in ingredients offering a healthy boost.